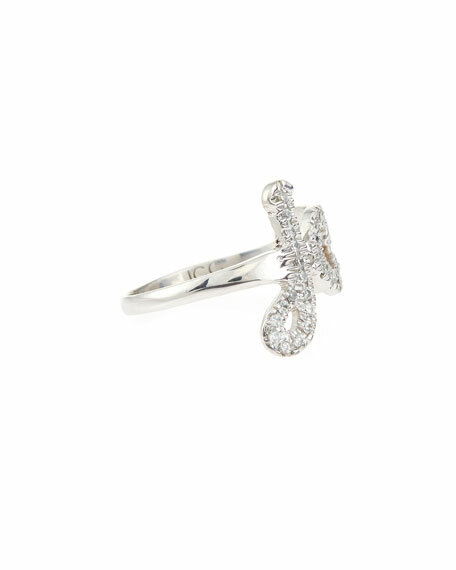 Pavé diamond initial ring by Jennifer Creel. Your choice of 14-karat white or yellow gold. Personalize with your initials or any three letters in a whimsical script font that wraps around the finger. 0.450.50 approx. total diamond carat weight. Please note: Customized Jennifer Creel rings cannot be returned, and these special orders cannot be canceled. Please allow up to 10 business days for the shipment process. Salma Beaded Tassel Necklace, 42"